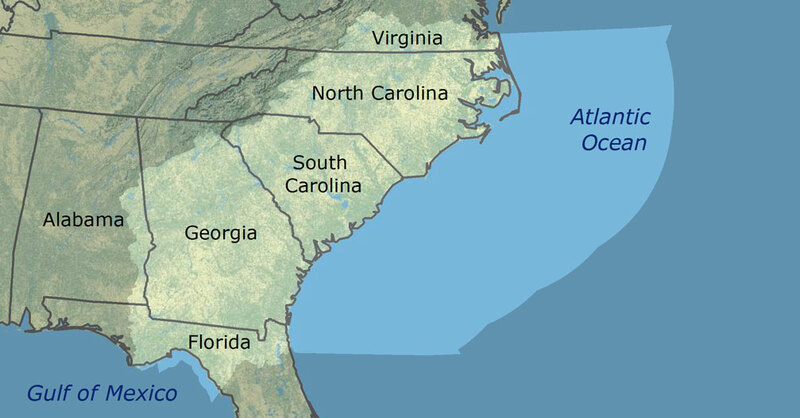 The vision of the South Atlantic LCC: A landscape that sustains the nation’s natural and cultural resources for current and future generations. We’re here to help get things done—for resilient communities, healthy fish and wildlife populations, clean water and working forests. We bring together scientists, decision-makers, public officials, resource managers and advocates to conserve natural and cultural resources across the South Atlantic region. The South Atlantic Landscape Conservation Cooperative (LCC) is part of a broader LCC Network of 22 cooperatives across North America and the U.S. Pacific and Caribbean islands. Each regional LCC is designed to foster shared conservation action among multiple public and private agencies and organizations. The South Atlantic LCC is made up of 800 individuals from federal agencies, regional organizations, states, tribes, nonprofits, universities and other groups. A Steering Committee of diverse partners guides your cooperative’s strategic direction, empowering it to operate on a scale that no single agency or organization could achieve on its own. Together, we examine threats to our environment, such as climate change, habitat fragmentation, invasive species and water scarcity. But we don’t stop there. Our mission includes developing and implementing a plan of action—a comprehensive blueprint for sustaining natural and cultural resources for current and future generations. We’re involved in cutting-edge work, creating spatially explicit models that help biologists and natural resource managers prioritize conservation action and investment. Develops shared indicators of ecosystem health. Tracks progress toward improving the state of the South Atlantic. Designs and works to achieve a blueprint for the future.